Who’s excited for Winter Shares?! Info below, and details for each share can be found on the Food We Offer page. Payments for Winter Shares are due November 16th. $116 total. 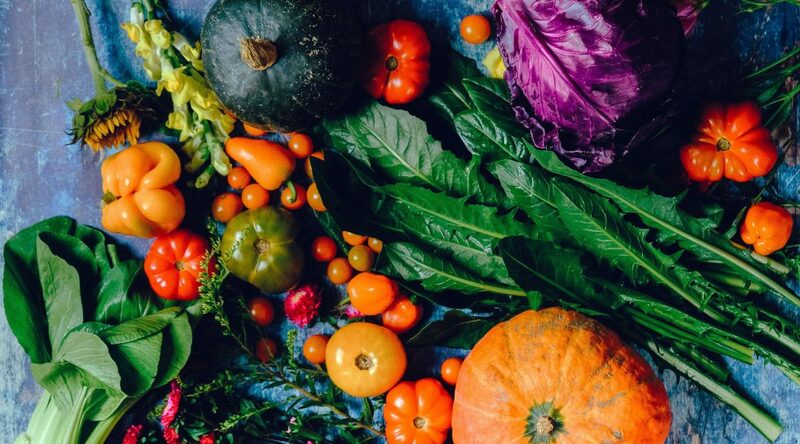 Each delivery is 15+ lbs of in-season vegetables from Golden Earthworm Organic Farm. $137 total. Each delivery consists of 1 jar of shelf-stable tomato puree plus 6 separately packaged frozen items from The Farm Bridge Shares. $29 total. Each delivery is 4 lbs of apples from Briermere Farms. $23 total. Each delivery is ½ gallon fresh-pressed apple cider from Briermere Farms. Look at all the veggies (and blueberries!) Check out what’s in the box this week–and for tasty recipe ideas, click here. All the veggies for this week are best stored in an airtight (plastic) bag in the refrigerator. Blueberries should just be stored in the fridge. The veggie pickup for Thursday, June 29nd will be at Sunnyside Community Services from 5-8pm. Scallions – These green onions are mellow enough to slice in a salad, be grilled whole or tossed in a recipe. When to use: Within 5 days. Fennel – The bulb and stems are the main parts to eat. Try one of the recipes in the link above! When to use: Within a week. Collards – One of the most nutrient-dense veggies on the planet. A recent favorite is using them like lettuce wraps. When to use: Within a week. 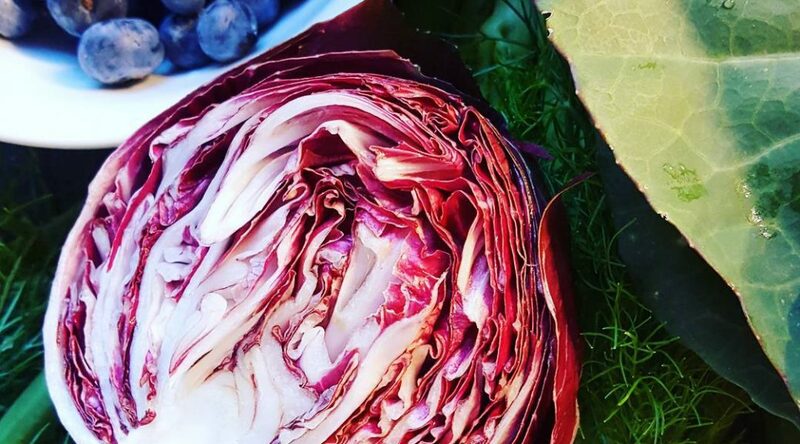 Radicchio – This is a leaf chicory, with a bitter and spicy taste when raw (try it with a creamy, sharp cheese). If you’d like it more mellow, eat it cooked. When to use: Within 5 days. Green Romaine Lettuce – This lettuce loves hot weather, and it’s nice and crunchy in a salad. When to use: Within a week. Zucchini – Is there anything this veggie can’t do? Breads, noodles, raw, cooked… When to use: Within a week. Blueberries – This sweet treat comes from Little Buck Farms. Store in a container in the fridge (not in a plastic bag). When to use: Within 5 days. Please note that any boxes not picked up by 8pm will be donated to SCS, and items are subject to change.